C’mon guys. When are we going to get season 2 over here in the UK?!? When will Sonic Boom get a Swedish dubb? Probably never… I am a bit sad that Sweden is left out completely. Any other countries that to have gotten left out? Its nice to see Hulu pick up season 2 of Sonic Boom, but why is Boomerang not showing reruns after its season finale? All I see now is Tom & Jerry which is fine(Boomerang is more for classic cartoons anyways), but why not show some reruns of seasons 1 and 2? Its possible another network bought the series out like Disney XD or the syndicated cartoon block on THiS-TV, KidsClick(which may or may not pick up Sonic X, as it was listed for July 1st’s launch, but is now delayed, and even KidsClick doesn’t even know why), or the series is cancelled(no news of season 3 yet). 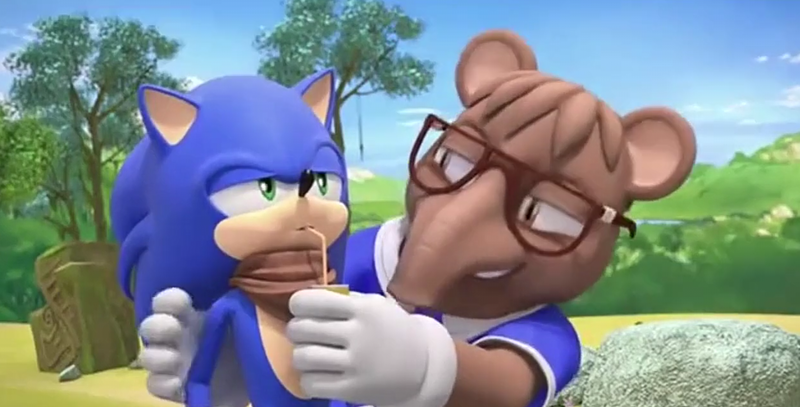 It would also be nice to see a DVD release of Sonic Boom too. I mean, if the UK and Australia can get DVD releases, why cant the US? Seasons 1 and 2 are already out, so why not?